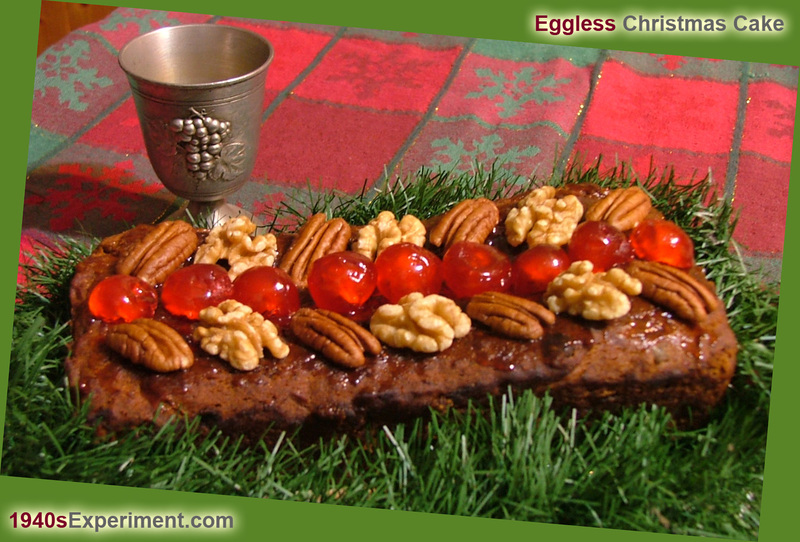 This entry was posted in Uncategorized and tagged eggless christmas cake. Bookmark the permalink. This is a great idea! i just found your blog and i want to do the same to lose my 20 lbs . I live in the U.S. and crazy about 1920 to 1940’s.So now i’m going to find out all i can on the U.S. rations. THANK YOU! Kudos toeverything you are doing. I just “found” your blog in the last week and had to read everything from day one to present It is fascinating and educational. I do have some questions if they aren’t too personal: Have you considered having your own chickens again? You said you have had chickens in your past, and I honestly don’t know how much work they are, but with your rations it seems a few chickens could stretch that out and if you have several there must be people who would buy fresh organic eggs from you. i know, next I’ll be suggesting a garden and goats for milk or something. Keep up the great work and I am looking forward to trying some of your recipes. This is the first time I comment, but I follow your entries almost religiously. I love cooking and History, you were the woman of my cyber life! I would love to try this! Do you have an estimate (or range) for the weight of a “large carrot” (or volume, after grating)? What can I substitute for golden syrup—I have white sugar and brown sugar available. Presumably the right amount of brown sugar combined with the right amount of water? How big was a “small teacup” in 1940s Britain? Oops, your comment form doesn’t accept urls. I wanted to post a link to an article “Meet Mr Thirties: The man whose home and lifestyle are stuck in the year before the war” in The Daily Mail. A search should easily find it. I have one quick question, is golden syrup the same as maple syrup? I have made many of your recipes and every single one that I have tried has turned out beautifully! Thanks so much for doing this and letting us tag along on your journey! !